We have 40 years’ experience of providing high quality, distinctive and affordable services to NGOs, UN agencies and other organizations including Oxfam, Amnesty International UK, Plan International, UNFPA, UNICEF and the International Committee of the Red Cross. We bring our broad understanding of global issues, and an ethical, progressive and collaborative approach to everything we do. If you think that we would be a good fit for your organization's next project, please get in touch. Our audience of 110,000 monthly web readers, 16,000 print readers and 40,000 email readers are some of the smartest and most ethically minded folks you'll find anywhere. To put your ethical idea, campaign, course or charity in front of them get in touch with Michael: [email protected]. Or take a look at our rate card. Our team of editors has a wide-ranging knowledge of human rights, environmental and global justice issues. 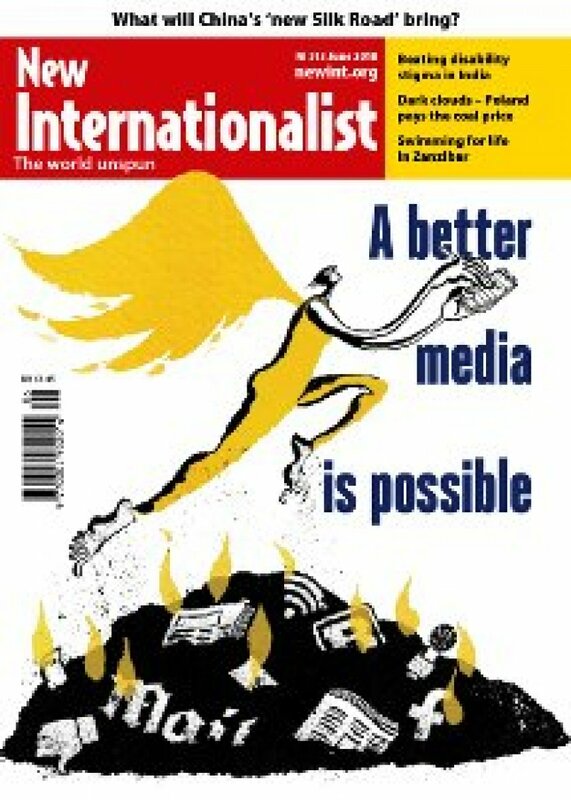 We produce the monthly New Internationalist magazine and an impressive list of books and other publications each year. Our highly skilled design team can help turn your vision to reality, working on everything from Red Cross Red Crescent, the magazine of the International Red Cross and Red Crescent Movement to ethical mail order catalogues for Amnesty international UK and Friends of the Earth, to books, to our flagship One World Calendar. We manage print production in-house and strive to find the best quality at the highest environmental standards. Combining our editorial, design and production services, we can take your book or magazine all the way from inception to publication – and beyond with international marketing and distribution. We have run our successful mail order business for nearly 30 years [fact check], recently rebranding it Ethical Shop. Amnesty International UK asked us to take over their mail order catalogue in 1999. Within five years we trebled order numbers and continue to run the Amnesty Shop today. We take care of all aspects of mail order: product selection, catalogue and web design, marketing and order processing as well as sourcing ethical products.